Childhood obesity is a growing problem all over the world. It is a reason for concern as obese children are at a much higher risk of things such as diabetes, high cholesterol, high blood pressure and even cancer. To better understand obesity in children, you must first understand what causes children to become overweight and the effects it poses to their lives. Improper Diet – Today’s children simply eat too much junk food such as potato chips, carbonated drinks, candy and fast food. All of these types of foods are extremely high in empty calories and fat. As such, they significantly contribute to obesity in children. Lack of Exercise – Children do not play outdoors like they did decades ago. The majority of kids today spend hours sitting in front of computers, TVs or video games. Children used to partake in bicycle riding, playing sports and generally running around, but they now rely on technical gadgets to entertain them. Learned Behavior – It is a fact that children most often mirror the actions of their parents. What this means is that if children’s parents overeat, the kids will most likely overeat as well. Additionally, if their parents do not exercise, they probably will not exercise either. 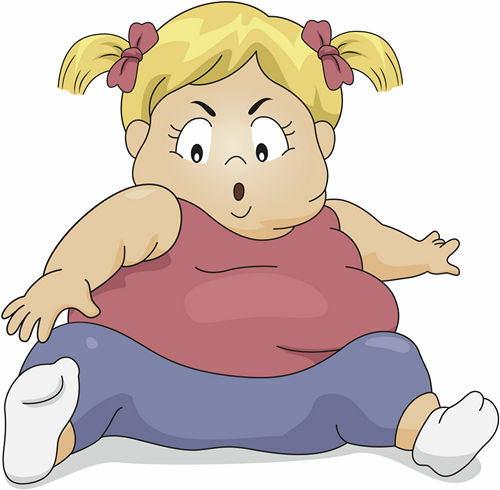 Heredity – Chances are, if there is a long history of obesity in a family, a child will become obese as well. This is especially true in the case of underactive thyroids. With an underactive thyroid or other medical conditions, it can be quite difficult for parents to monitor their children’s weight. But it’s not impossible. Emotional – Like adults, some kids may turn to food as a coping mechanism for dealing with problems or negative emotions like stress, anxiety, or boredom. Children struggling to cope with a divorce or death in the family may eat more as a result. When you know and understand these causes, it will be much easier to monitor your children’s lifestyle and prevent them from becoming overweight. When children eat healthy and exercise regularly they are at less risk for diabetes, high cholesterol and high blood pressure. Childhood obesity has increased fourfold in the past 40 years. Studies show that almost 20% of children, between 6 and 19, are over their ideal weight. Mental Health and Social Problems – Kids who are obese are often the targets of bullying by their peers, which can greatly reduce these children’s self-esteem. Furthermore, studies show that obese children have a much higher chance of developing depression, eating disorders, alcoholism and drug abuse. Physical Problems – Overweight kids are at a much higher risk of developing serious problems such as high cholesterol and high blood pressure. These are two very serious conditions that can lead to heart disease and strokes. 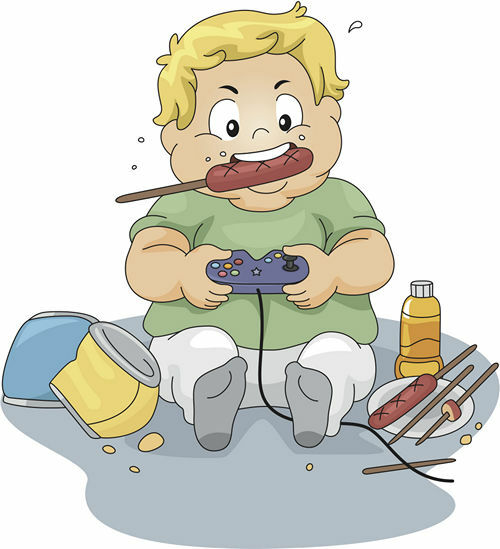 Childhood obesity can lead to other physical problems too including joint problems, bone problems and type 2 diabetes. With that said, if you have any children who are overweight, you will want to do something immediately to avoid these problems. 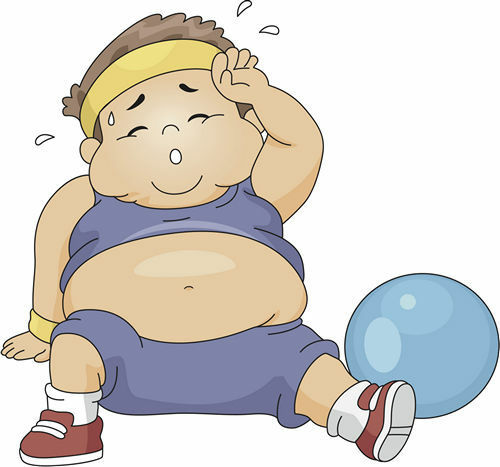 Many children today are obese due to their lack of proper eating habits and exercise. There are ways you can help your children though, and we are going to look at some of these ways. There are many great diet plans you can use to help your kids lose weight. However, in addition to eating right, children must change their lifestyles as well. Now that you know the causes of obesity in your kids, you can take steps to change your children’s habits and maybe your own in the process. 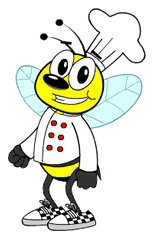 Encourage Proper Eating Habits – Plan and cook healthy meals for your children rather than buying fast food. Fast food is filled with nothing but empty calories and fat. Additionally, in most cases, fast food is a lot more expensive than buying fresh food. Steer away from unhealthy snack foods such as chips, candy and carbonated drinks. Encourage your kids to eat fruits, vegetables and whole grains. Your children are constantly influenced by appealing ads that sell junk food. It is up to you to make sure that your kids eat healthy. 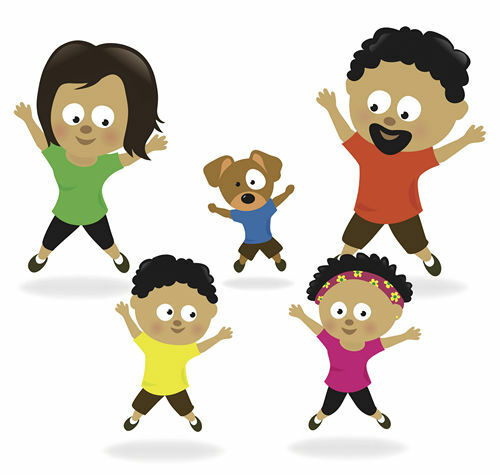 Encourage Exercise – Do not allow your children to sit for hours watching television or playing video games. Encourage them to go outside, play with friends, ride their bikes and/or participate in sports. This will help to increase their metabolisms and lead to a healthier life. Set a Good Example – It is a known fact that children learn by example. If they see you exercising and eating right, they will follow. You cannot expect your kids to eat properly and exercise if you do not do the same. Unfortunately, childhood obesity is at an all-time high, and it is time for parents to take action before our children become ill. Below are some more alarming statistics pertaining to obesity in our children. Shorter Life Spans – Studies show that an obese child’s life can be as much as nine years shorter than one who is not obese. Since obesity can lead to many different serious health issues, and some of them can even be life threatening. In a few cases, parents are even out-living their children. Nobody wants to imagine out-living their children, but when kids are obese, it is a possibility. The Cost of Obesity in Children – Joint problems, heart disease, diabetes, high cholesterol and high blood pressure caused by childhood obesity can cost billions of dollars each year to treat children and young adults affected by it. Rising Rates of Obesity – The obesity rates have doubled for kids between 2 and 5 as well as 12 and 19 years since 1970. Additionally, the rate has tripled for kids between 6 and 11. What this means is approximately one third of all kids today are at risk of becoming obese and more than 20% already are. Obesity in Boys and Girls – When it comes to adults, women have a much higher chance of becoming obese than men do because the female body contains up to twice as much natural body fat than the male. However, when it comes to children, the statistics for boys and girls are about the same. The rates have increased though since the early 1960s. Today, 29% of boys are at risk of becoming overweight while 27% of girls have the same chance. Highest Ethnic Groups – Some ethnic groups are more affected by child obesity than others. Amongst boys of all ethnicities, Mexican-Americans have the greatest risk of obesity with just over 42% being affected. Amongst girls of all ethnicities, African-Americans have a higher risk with more than 50% being affected. Mental Health – Studies have shown that obese children are four times more likely to experience depression than other kids. These kids are often bullied and can develop serious social issues because of their weight. Some of them even have a difficult time leaving their homes. It is essential that you talk to your child about his/her problem. While very young kids may have limited interest in the topic, older children may be willing to talk with you. Typically, elementary school-aged children are old enough to understand a conversation about this topic. Discuss with them the reasons why eating fast food every day is not a good idea. However, if your children are younger, you may want to limit your usage of the word obese, overweight or chubby. What NOT to say – Never ever compare your overweight child to other people when trying to explain the concept of being overweight. This will only hurt their feelings. All people are different, and what is considered as overweight to one person is not the same to another. Additionally, never make fun of your overweight children. This will only lead to low self-esteem, hurt feelings and more overeating. It can be a vicious cycle. You want to help your children not hurt them. What You Can Say – Be truthful to your children without hurting their feelings. For example, tell them, “This food is not good for you, but this food is.” Try to find healthy foods that your children will like. If they hate celery, don’t offer them celery; you are only defeating your purpose. 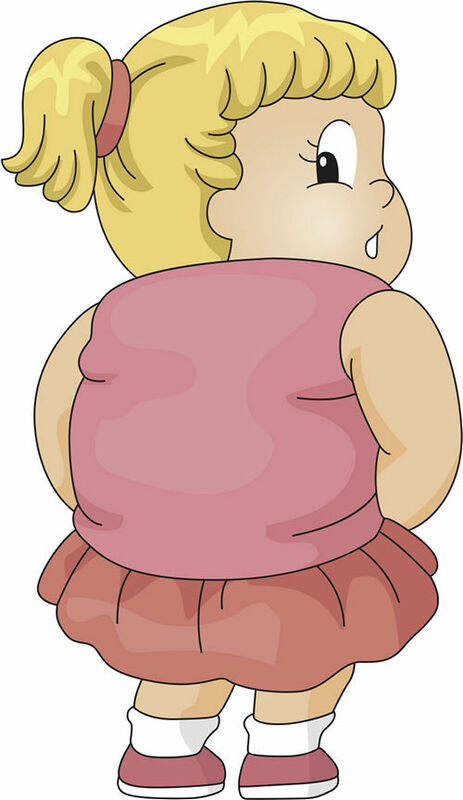 Telling younger children about health issues associated with obesity may not resonate. They probably won’t understand the concept of heart disease or diabetes, but you can explain to them how much easier it will be for them to run and play if they lose weight. 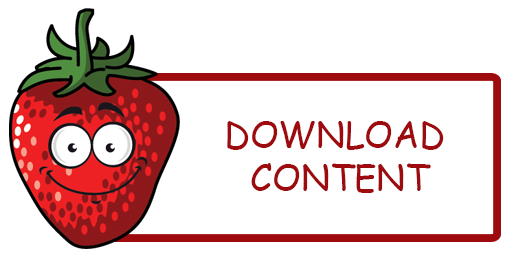 Older Children – Children who are in middle or high school will understand the concept of healthy eating. It is also a great time to teach your children about the benefits of exercise. Teach them how to look for nutritional information on food products at this point too. Your Actions Can Help – Make sure you practice what you preach. Never expect your kids to do what you don’t do. Show them, by example, healthy eating habits and habitual exercise. Child obesity is a serious problem that affects both your children and you. However, it is not an impossible situation to overcome; and hopefully, there is information here to start taking steps to help your children. We’d love to hear your feet back as well as some ideas and inspirations for others.